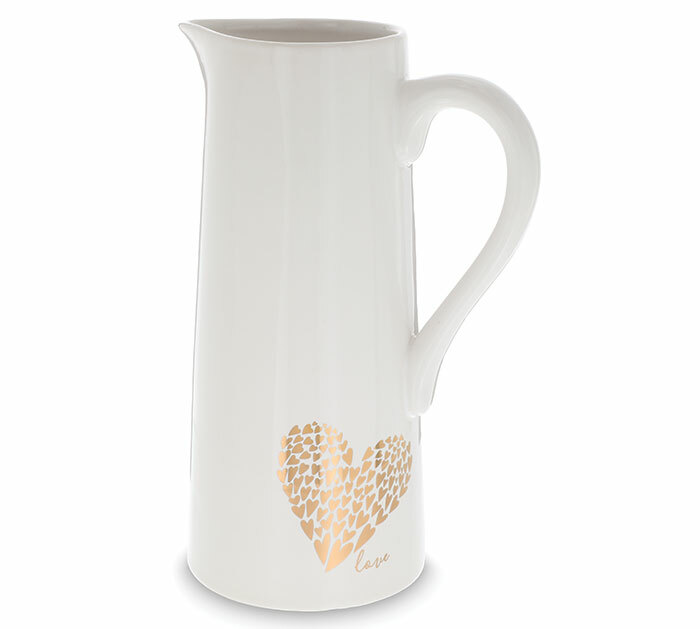 White ceramic pitcher with metallic gold hearts on the bottom and the word love in script under the heart. 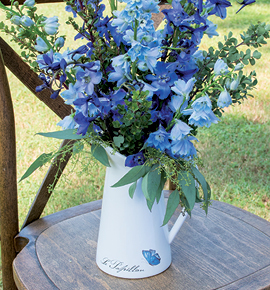 The heart is made of smaller hearts. This was fun for a dz roses!!! !